But a humble place of coffee catch ups, work meetings and the occasional hangover breaky is far more than just that. The average Dôme is brimming with history, not only in its coffee but its design. We are all familiar with the rich wooden interior with gold detail that extends from the front counter to the ceiling fans, and that paired with the extensive founding history of the franchise creates a firm ambience that defines the experience. However, the historical element of Dôme is not to be overlooked. Many Dômes across Western Australia are based solely on the restoration of heritage buildings which would otherwise have become obsolete and permanently abandoned. In designing cafés in this manner, the original heritage is managed to be preserved whilst maintaining the familiarity and ambience of the Dôme franchise. Looking around WA, you’ll find a Dôme in a restored police station (Kalamunda), surgery (Port Hedland) post office (Claremont) and school (Midland) to name a few. Most recently, the great southern town of Katanning has opened a Dôme in the only remaining flour mill in the state. 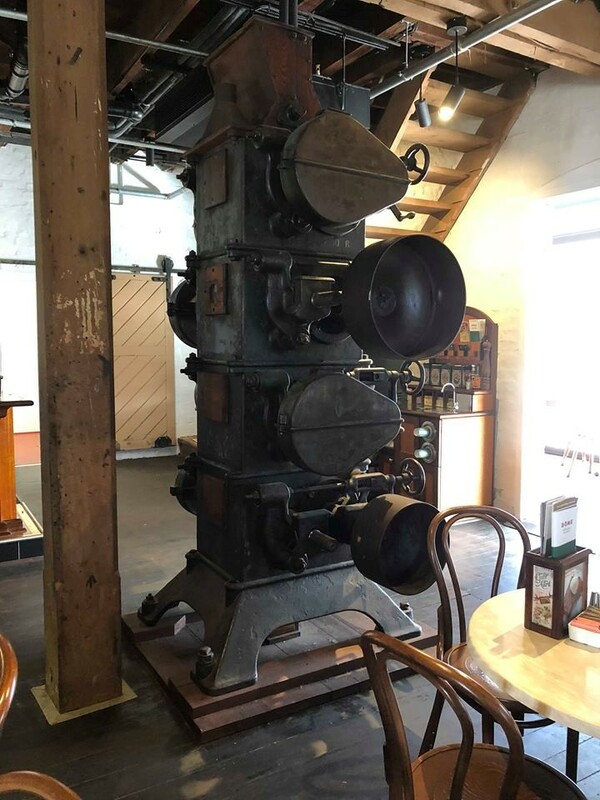 Upon inspection, the Katanning Dôme had everything you’d expect in any given Dôme- the counter and display cabinet construction, the coffee equipment, the menus and tables and chairs were all the same. But the place was also vastly different. Entering the building gave an immediate insight into the historical flour mill. From exposed aluminium piping to intact machinery, it would have been impossible to ignore the physical remnants of the historical location on which it was constructed. As for the food and coffee? Unwaveringly on par with any other Dôme. Dôme illustrates the fact that even within a franchise, specific local variances can still be incorporated into a commercial fit out to differentiate and generate character whilst maintaining brand consistency. The notion of community is an important element in their design choices in that they really work to rebuild and reconnect community while enhancing the customer experience. Not only that, the consistency over both metropolitan and rural locations further emphasises the way in which a space can be tailored to suit a commercial purpose and uphold a brand regardless of physical environment. Are you thinking of designing or refitting a commercial space? We can help! Check out our website for more details. May 31, 2018 Luxury…what do you mean?